Since the trial, I’ve been bothered by that phone call. I remember when I first listened to it. My initial instinct was that something was wrong, that it didn’t make sense for someone to be hysterical at that point in time — when her friend had really only been missing for a couple of hours. There are so many circumstances that can result in a person returning home later than expected. As it turns out there are many red flags surrounding the call itself and the caller’s actions that morning and during the investigation. Were there really plans for Nancy to paint at Jessica’s that morning? There is a considerable amount of circumstantial evidence that there never were any plans. Nancy spoke to several people at the party the night before – not one person mentioned that she discussed plans to paint the next morning. Three people stated that she planned to go for a run – consistent with what Brad said. Nancy was aware that Brad had plans to play tennis with a friend at 9:30AM; she would watch the children. Jessica wouldn’t have known of the tennis plans because they had just been made that evening at the party. Nancy told three people that she was tired of painting. Though Hannah informed police that Nancy told her of plans to paint the following morning, Hannah phoned Nancy at home on Saturday morning; not on her cell phone. This is odd if she really expected her to be painting at Jessica’s house. Jessica told police that the paint plans with Nancy were made the prior day at approximately 5PM by phone. She again states this in a later interview. When police finally obtained her phone records and did not see a call between her and Nancy that day, she changed her story to “I was at the Cooper’s home on Friday when the plans were made in person.” How could a person forget something like this? Now, not only is there no confirmation that there were plans made to paint, there is also no reason to trust that she was even at the Cooper’s home on July 11th. Remember how much of the case focused on her being there that day? – the ducks, the descriptions of all the rooms in the home, the laundry, etc. Was she even there? I don’t think so. How did Cary police respond to her changed story? They said she simply clarified things. Read more about this here. Carey told police that she last spoke to Nancy on Friday morning (7/11) at 5:20AM and that Nancy canceled their plans to run that day. She made no mention of Nancy having any plans to paint that morning. At a second interview in August – weeks later – Carey stated then that Nancy mentioned plans to paint the next morning. This doesn’t fit because the alleged plans weren’t even made until Friday afternoon. It would have been impossible for her to know about them. There are a few problems with this statement from the 911 call. First, if you listen to her trial testimony, she stated that she saw Nancy’s car with cell phone inside the car after she made the 911 call but you can hear that she actually said she saw Nancy’s car with the phone inside during the 911 call. Why is that important? It’s important because it means that she drove to the Cooper’s home before placing this call. Why would she do that? She didn’t knock on the door to see if Nancy was home. This is very odd. Second, the cell phone was not in her car. The cell phone was inside the house on the entry table. Why is this important? This indicates that Jessica somehow knew that the phone was not with Nancy. How could she possibly have known that if she hadn’t seen her? She had to know that the phone was not on her person to lie during the 911 call about it being in the car. She wanted police to know that she didn’t have her phone with her. 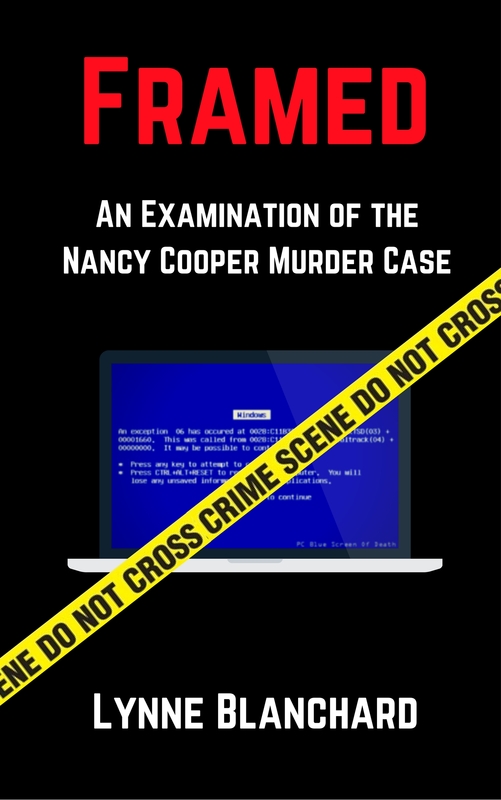 Imagine if when the body was found days later, Nancy was found with her cell phone. How would that make Jessica look after she stated that the phone was in the car? Like an obvious liar. Doesn’t this indicate that she must have seen Nancy that morning? That is the only logical explanation. Detective Dismukes also looked inside her car window when he arrived at the house that afternoon. No mention of the cell phone being inside the car. This is because Officer Hayes collected it from Brad – inside the house. Further evidence supporting the phone being inside the house is the fact that Hannah told Brad to try to find Carey’s number on Nancy’s phone – which he did because the phone was right there on the table. Jessica stated during the 911 call that Hannah called her, but that’s incorrect. Jessica asked Brad for Hannah’s number; 3 minutes later she called Hannah. That is false. There is no call to Nancy’s cell phone from her that morning. She placed a call to the Cooper’s home phone at 9:30AM. Brad answered, she asked for Nancy, never mentioned that she was expected at her house that morning and hung up. She didn’t try her again. At 1:27 Brad called her to see if she had Carey’s number. 23 minutes later, she made the hysterical, breathless 911 call in which she immediately accused Brad of the unthinkable. She mentioned “divorce” several times throughout. There were no calls to Nancy from Jessica that Friday. There is a 10 minute call from Brett’s phone to Nancy’s phone the night before she disappeared. Jessica claims that she made that phone call but she had time to prepare for that response. Before her deposition in October ’08, she requested her phone records from Cary police in preparation for her deposition and they gave them to her. She looked through them and saw the call from Brett’s phone to Nancy’s and had a response for that prepared. What if that call was actually placed by Brett? Jessica testified that she borrowed her husband’s cell phone because he was sitting across from her and she didn’t have hers handy. She also said she was with her friend, Mary. Would she really talk on the phone for 10 minutes with a friend sitting there? That’s a long time. Why create the story of the paint plans? During the trial, the defense suggested that the story may have been created to justify a reason to call police — that Nancy had missed an appointment. Okay, possibly but assuming there were no paint plans (I think it is safe to assume that based on the circumstantial evidence), Jessica wakes up on Saturday morning in what should be a normal busy day with kids. She has two activities scheduled with her children – soccer and swim lessons – she is busy with her family and weekend activities —- why is she concerning herself with Nancy Cooper? Possibly she wanted to chat with her so she phones her at 9:30 — she’s not at home. Why would she be hysterical, panicked and almost unable to speak when she phones the police at 1:50? Is it because she already knew what had happened to Nancy and she needed to place the blame on someone to take the suspicion away from herself or someone she wanted to protect? It’s the only thing that makes sense. IF there were paint plans – giving her the benefit of the doubt – this still doesn’t justify the hysterics because there was no history of violence in Brad and Nancy’s marriage. Jessica knew this. If there were violent episodes, her demeanor may have made sense; it did not. What would be normal and expected behavior for a worried friend? If it were me, I would have never placed that call without first talking to the husband – “I’m really worried, I think you should report her missing so we can get some help.” Then I would go to the gym to look for her and the typical trails where Nancy typically ran. I certainly wouldn’t race over to their home after calling police – that time can be better spent physically searching for my friend. What did Jessica hope to contribute by racing to the home? How is that helping Nancy? Not normal. Below is a timeline of calls that morning and a transcript of the 911 call. I’m not trying to point the finger or make accusations without evidence. I feel it is important though to highlight the red flags that I believe investigators should have pursued. Instead they bought into all of her lies from the very beginning – paint plans, missing ducks, necklace, cell phone, “never ran alone”, All detergent, etc. Lies. Though the spouse is always a suspect when something happens, investigators need to keep an open mind. There are many questionable 911 calls involving crimes that give clear signs about the caller that shouldn’t be ignored. I believe in this case that those signs were ignored. Take away this hysterical phone call and consider how differently the entire investigation may have been carried out. 7:00AM: According to Brad, Nancy leaves the house for a run. 9:00 AM: (approximate): Brad phoned his friend to inform him that he may have to cancel their tennis plans as Nancy hadn’t returned from her run. 9:20AM: Brett Adam phones Jessica’s cell phone. 9:21AM: Jessica retrieves a voice message. 9:30AM: Jessica calls the Cooper’s home phone and speaks to Brad, asks for Nancy and never mentions she was due there to paint. 9:30 AM (approximate) : Brad phones his friend to apologize for definitely canceling tennis match as it is past the scheduled time. 10:00AM: Hannah phones the Cooper’s home phone and asks for Nancy. They had plans for sometime that day to go to the pool. (sometime around noon? ): Brad calls Hannah to see if she has Carey’s phone number as Nancy often ran with her. Hannah tells him to look in the phone (it was locked) and tells him to call Jessica. 1:27PM: Brad phones Jessica and asks if she has Carey’s phone number as Nancy hadn’t returned and he was getting worried. 1:30PM: Jessica called Hannah and minutes later would state to the police that both of them believed he had done something. 1:50PM: While Brad was driving around looking for Nancy, Jessica made the hysterical, panicked 911 call to report her missing and implicate that Brad had something to do with it. Operator: Cary police, this is (? ), how may I help you? JA: Hi. My name is Jessica Adam and I’m calling um because a friend of mine uh has been missing since seven o’clock this morning and um her husband and her are in the middle of a divorce and I’m not sure what the protocol would be but I.. she…she said she went out for a run this morning at 7 o’clock in Lochmere and no one has heard from her. She was supposed to be at my house at 8 and I’m just – because of the situation with the divorce I just was wondering if you can have…I don’t know what I should do. I just called Wake Med and she had not been admitted on any emergency basis so (deep breath, sigh) I was wondering if anything (breath) … if someone could tell me if anything might of been in an accident or if you have any recommendations for me on how to proceed here. Operator: Okay. Just a moment…I’m going to put you on hold for just a moment. Operator: Thank you. Okay ma’am? Operator: Alright, um… now your name is Jessica? Operator: Alright and what is your friend’s name? JA: Her her name is Nancy Cooper. Operator: What is her address? JA: She is at on Wallsburg Court. I think the actual number is 102. (deep breath sound) She lives in Lochmere. Her husband and her are living together but they are in the middle of a divorce and she is um .. (Deep breath sounds, pause)…okay hold on. (two more deep breath sounds) Okay, hold on one second. Operator: Alright. What is your phone number? Operator: And you’ve tried making contact with her as well? JA: So, okay um…the situation is her husband when um I called this morning at about 9 um… that he said that she had left this morning for a run uh early uh he believed with her friend Carey um and that seemed fine um and normal (deep breath) um (deep breath) but apparently um she had not returned and um the situation is just a little bit um (deep breath) She she should have been here. She was expected here no later than 9 o’clock um to help me with a project and then she also had another appointment with a friend um her name is Hannah who just called me on the other line hysterical cause she’s also now having the same thought that I am about her husband um if he’s done something and I don’t.. I mean God forbid but (deep breath) um. Operator: Had he been violent with her in the past? JA: Well… we, we (deep breath) I, I don’t he is definitely um (clears throat) been uh, I don’t know that he’s been physically violent but I know there’s been a lot of tension (deep breath) and uh so I wouldn’t be surprised. I hate to say it but I mean. I just (clears throat) I’m not sure what to do. Operator: Okay. And the other person you said is Hannah? Operator: Do you have her last name? JA: Um.. can you get me (inaudible)? What the hell’s Hannah’s last name? Um, I can give you her telephone number and you can call her (deep breath) um she is – I don’t have her last name, I can’t think right now. Operator: Okay. Is it possible that she might have done something else and possibly forgotten? JA: Oh, yeah I mean of course but the thing that’s strange is that her car is parked in the driveway at home and her cell phone is there (deep breath) um and and you know it’s looking as if if she would have gone out for a run this morning um she would have done so you know on her own um so of course then maybe something happened… I mean she is a runner and legitimately you know she is training for a half marathon and something could have gone wrong … something maybe if she hurt herself. Operator: Was she supposed to be running with somebody else? JA: Well, this is what her husband said. I did not was not aware of her running with any friends this morning. (deep breath) and um he this friend um is a veterinary uh she’s a veterinarian and uh supposedly works at the office right around the corner from their house and when I last spoke with him he said that he would be putting the children in the car and to drive to – to that vet’s office to see if he can get a hold of Carey to determine if she knew Nancy’s whereabouts. Um but um it doesn’t really make any sense. She definitely has had – she had two schedules, um she would have made contact with either me or her other friend by now who also had expected her today. 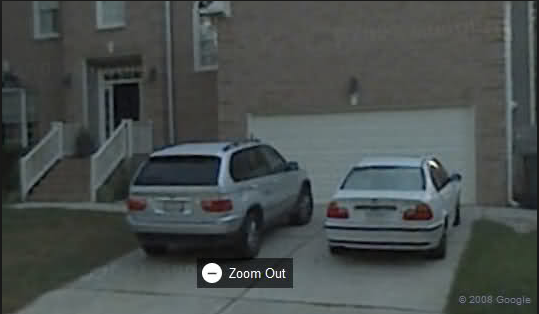 And the fact that her car is still at home and her cell phone in there is um weird. She you know that would not make sense … so I think right now I think basically the the information we have is that she left the house at seven o’clock this morning assuming her husband’s telling the truth and she’s not returned. It wouldn’t make any sense. A two hour run might have been (breath) you know within reason but that would have meant that she would have been definitely home by now. (deep breath) so um what can Cary police department do to help us in a situation …how do we approach….at what point…what number of hours… does her husband have to be the one to file like what what’s the procedure here (deep breath sounds)? Operator: Just a moment here. 2nd operator: And try to obtain some more information from her husband. I need to know what kind of car she drives. JA: Okay, she has a BMW X5, it’s the SUV, it’s silver, I believe the 2001 model. (deep breaths) She she’s um tall, slender, very pretty, blond/brown hair. 2nd operator: Okay, does she have any medical problems? Or any other um ..? 2nd operator: Is the person who’s got to file a report so it sounds like if she was last seen by her husband at 7 o’clock he would be the one responsible for filing the police report. 2nd operator: This is what I would want my true friend to do. 2nd operator: Do you know which vet’s hospital this is? JA: (Something about a husband/wife veterinary clinic.) Unfortunately I don’t have this woman’s uh … I never met her, I just know that she’s Nancy’s friend that she runs with in the mornings…she used to run with her, about a year. 2nd operator: Okay, give me one second. 2nd operator: Just be patient. Were they to supposed to meet at that Vet hospital this morning? 2nd operator: Has he ever met Carey? JA: I have never met Carey but I do know she does exist um it’s through Nancy. 2nd operator: What we’re going to do – I’m going to send somebody out there and speak with her husband and check the residence. Do you know around Lochmere Lake or is there a trail around there? 2nd Operator: Yeah, let me do a couple things that we’re going to do and then give me about 30-45 minutes to work with this and then call me back. Awesome analysis Lynne! Very clear & cohesive. It always bothered me that she spoke about seeing the phone in her car when she made the call from her home PRIOR to going to the Cooper home,. Thanks. I didn’t understand the significance of it until recently…just thinking about what this means. I believe she had to know that Nancy didn’t have the phone with her and there is only one way that she could have. Some will probably say “Well, Hannah knew the phone was in the house because Brad tried to use the phone to find Carey’s number” but then Jessica could simply have said “her phone is in the home”. If she knew that, she would have said that. Why say “Her phone was in the car”? Also, for her phone to be in the car would mean that she arrived home from the party, grabbed her keys, placed her phone in the car and then went back in the house. Does that make any sense? It doesn’t. She said that it was in the car because she knew it wasn’t on her person but she had to say it was in a location where she could say she actually saw the phone – her car. I hope the significance of this makes sense to people. Could not Jessica have learned thru her calls with Brad that Nancy did not have her phone? Yes, but if she had she easily could have said that she knew the phone was in the house. I think it’s telling that she said it was in the car. It means she knew it wasn’t on her but she didn’t know it was in the house so she lied and said it was in the car. I still don’t really get it. During the 911 call Jessica says the phone “is there” which could very well mean that the phone is in the home. By the time of the 911 call, Jessica had spoken with Brad at 1:27. During the 1:27 call between Jessica and Brad, Brad could very well have told her that the phone was there — that is, in the home. Which leaves only one mystery — and that is, why does Jessica testify that the phone is in the car when when she arrives after the 911 call. Maybe she just made a mistake. I don’t see how testifying that the phone is in the car is a red flag. You’re missing the fact that she is a liar. This is no mistake. During the 911 call she said the car is in the driveway and the phone is in there. “In there” implies inside the car, clearly. 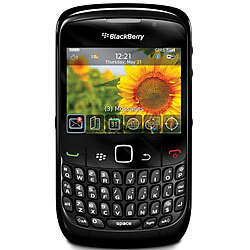 It is further verified by her testimony at trial in which she again references the phone being inside the car. This is common sense. IF she had been told the phone was in the house, that Brad had the phone, she would have simply said just that. The goal of the call was to place suspicion on Brad. She could have further cemented that by saying “and Brad has her cell phone”. She didn’t say that because she only knew that Nancy didn’t have her phone on her so she took a chance that it was in her car. She wanted police to know that she didn’t have her phone with her.